In order to be a flight attendant in the 1950s, women were required to be attractive—“just below Hollywood standards.” No wonder many a hopeful starlet became a flight attendant part of a backup plan. Rumor has it Tom Berenger and Richard Gere once worked as flight attendants. I don’t believe it, either, but I have dreamt about it. Several times. Richard looked amazing wearing nothing but a navy blue pinstriped apron serving me chocolate chip cookies in bed. Dennis Miller, on the other hand, really did work as a flight attendant for Continental, or so I’ve been told. Still trying to figure out how true that is. But what a snarky flight attendant he must have been! Actress Kate Linder, who has been on The Young and the Restless for more than twenty years, is still a flight attendant for United Airlines. You’ll only find her behind a cart on the weekends. Kim Kardashian’s mother, Kris, was a flight attendant for American Airlines when she met Robert Kardashian, O. J. Simpson’s attorney. What’s funny about that is Kris’s second husband, Bruce Jenner, an Olympic gold medalist, was married first to aflight attendant who supported him while he trained for the de- cathlon. Bruce later went on to purchase a private plane, which he learned to pilot in order to make it on time to public appearances. But flying is not for everyone. Ant, the comedian, was a flight attendant for American Airlines before he became a TV personality. Evangeline Lilly, who starred as a plane crash survivor on the television show Lost, hated her brief stint as a flight attendant, calling it the “worst job ever” thanks to short layovers and swollen feet. Men who don’t have a problem with swollen flight attendant feet include Robert De Niro, George Best, David Caruso, Wayne Newton, Lou Rawls, Montel Williams, Russian Prime Minister Vladimir Putin, Greece Prime Minister George Papandreou, Israeli Prime Minister Benjamin Netanyahu, and American Idol winner Ruben Studdard. They all married flight attendants. And let’s not forget the most recent person to join the flight attendant wife club, Kelsey Grammer, who ditched his wife Camille, from The Real Housewives of Beverly Hills, to wed Kayte Walsh, a Virgin Airlines air hostess. Bill Maher, a self-proclaimed bachelor, dated fly girl Coco Johnsen for a couple of years until they wound up in court. And there are all the famous affairs . . . but I probably shouldn’t go there. The prime minister of Iceland and the world’s first openly gay female leader, Johanna Sigurdardottir, once worked as a flight attendant for Loftleidir, a predecessor of Icelandair. Wife of rogue trader Nick Leeson (Barings Bank), Lisa Leeson, became a flight attendant for Virgin. Virgin’s very own Richard Branson was actually born to a flight attendant. Prince William’s wife, Catherine, Duchess of Cambridge, was born Catherine Elizabeth Middleton to parents who both worked as airline crew before going into the party supply business. While times (and requirements) have changed, the job is still a desirable one. Thousands of people apply each year. At my airline, the average age of a flight attendant is now forty years old. For the first time in history, being a flight attendant is considered a profession, not just a job. Fewer are quitting, turnover is not as high as it once was, and competition has gotten fierce. Ninety-six percent of people who apply to become flight attendants do not get a call back. In December 2010, Delta Airlines received more than one hundred thousand applications after announcing they had openings for one thousand flight attendants. Only the most qualified applicants are hired. Even though a college degree is not a requirement, there are very few flight attendants who do not possess one. Lawyers and doctors have been known to apply. This should tell you a lot about me, and anyone else you encounter in navy polyester. Think about that the next time you’re on a plane. Of course, the first time I tried to become a flight attendant I wasn’t part of the lucky 4 percent. In college, I went to my first airline interview in order to get away from a roommate who had more than her fair share of issues. She’d bring guys back to our dorm room and leave them behind. Try studying Japanese culture when your roomie is throwing up all over your clothes, the ones you’d specifically and repeat- edly forbidden her to wear! So when my mother, a woman who had always dreamed of becoming a flight attendant, mailed me a newspaper clipping with an ad circled four times in red for an open house with a major U.S. carrier, I decided to apply. Not so much because I wanted to become a flight attendant, but because the airline provided a free ticket to a city out of state where the interviews were being conducted. Broke and tired, with a laundry hamper full of vomit and a disheveled man locked in the bathroom using my Q-tips, I just wanted to get away. I also wanted to fly on an airplane, something I’d only done three times before in my life. Two weeks after I received a letter from the airline telling me where to go and what to say to the ticket agent to get a seat on the flight (not all airlines cover the travel expense), I stepped off the aircraft, sashayed down the jet bridge in four-inch beige pumps, a little black bag rolling behind, and made my way to a non- descript door clear on the other side of the busy airport terminal. There I found a giant room filled with hundreds of happy, smiling women. I stopped in my tracks. The banquet room was lined with neat little rows of applicants, knees held tightly together, ankles crossed delicately off to the side, dressed head to toe in blue and black. My brand-new canary yellow suit and suntan hose screamed LOOK AT ME! And not in a good way. Right then and there I wanted to die. Guess I don,t view flight attendents as doctors,lawyers, or scholars. Has it changed, really? There truly is a reason that a reputation goes hand and hand with this “profession.” What other book/author begins their tale by listing the famous people who have hooked up with them? I do have to admit..you all are good at what you do….but don’t make it sound like Most didn’t choose this profession for 2 reasons….travel and meeting men…preferrible rich professionals..be they actors or CEOs. When I was a grade four student, I wrote an award winning essay on what I wanted to be when I grew up. 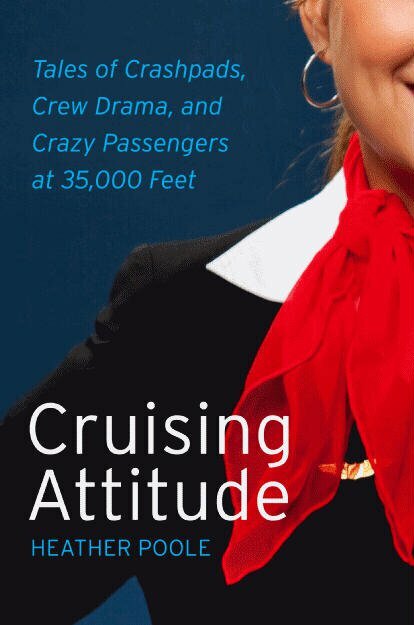 I chose that sexist term “stewardess” and cited the adventure of flying and visiting far off places, thinking stewardesses were on par with nurses, also then a traditional nurturing feminine role, and there were times I am sure they had to be. I have seen how hard flight attendants work and learnt that on the 1st flight I took note of this (not long after the aforementioned essay, though I had flown previously) so it did give me “some” pause. I never applied but was willing to try at some point. Life takes over as it often does though and I ended up as a pediatric hematologist/ oncologist which still involves much flying (esp since I volunteered w/ Drs without Borders). There have been a few times when on a flight someone has actually asked “Is there a dr. here”? and I hesitate to say that the 1st time when it was a pregnant woman in distress my 1st reaction was “OMG, when did I last deliver a baby and obgyn’s are sued most” but that was all of two seconds and everything went well. On another occasion, I helped a flight attendant w/ someone who needed oxygen and another time a man thinking he was having another heart attack – thankfully as you know, most planes are well stocked for ,any of these emergencies. I could go on but such was my fleeting moments in aiding the airline personnel. I have yet to meet an impolite airline attendant. Occasionally they are tired and go about their jobs but I understand. Thanks for this most insightful book and blog! I meant to add that our hospital chaplain is married to a flight attendant for a regional airline and she has a Masters in French and it was not so easy to get hired. Thus, I anticipate most are educated experienced professionals who know what they are doing.